Hands On Brisbane are always announcing new workshops, or working on new workshops. The facilitators are always working with new techniques to be able to bring new workshops to us. This is part of what makes my job so rewarding, I get to sit in and learn new techniques as well as the students. This means I can help with the workshop next time and learn a new technique to take home and work with. Most recently I sat in on Simple Journal Making and picked up techniques to make little notebooks, one is shown below. This week I am putting together the new season and trying to figure out what workshops we want to see next time. Any ideas? One of the most interesting workshops for May is this one Bespoke Jewellery Making where we use Milk bottle, stamps and resin to make unique jewellery. I’m also looking forward to seeing what works the student make in Relief Printmaking. It is so fun seeing other people create art in 2 hours! 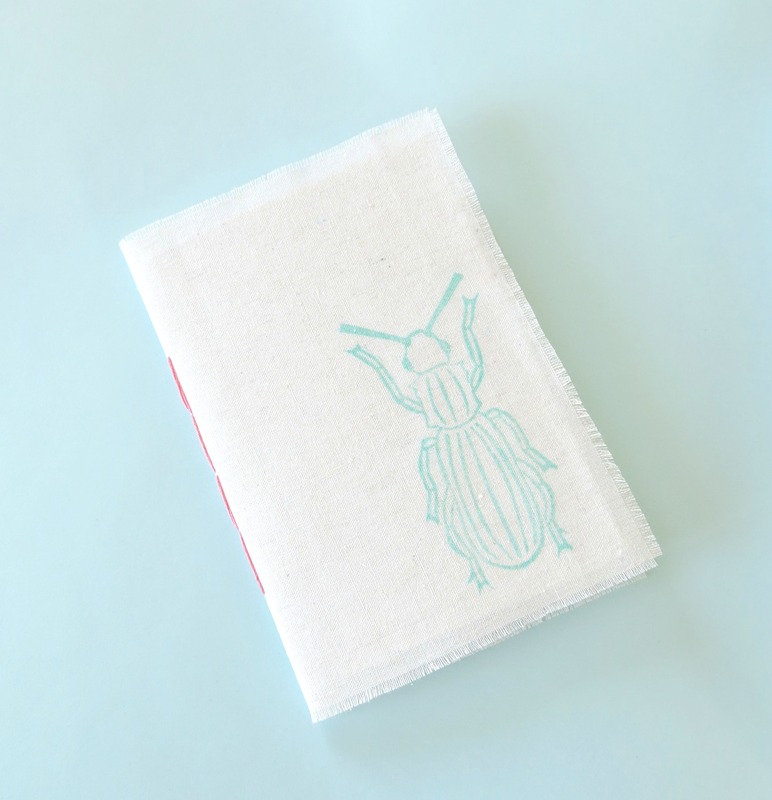 Paper and fabric notebook with a grain weevil stamp cover. This entry was posted in Craft and tagged brisbane, craft, handmade, hands on brisbane, workshop on April 24, 2015 by yourorgangrinder.